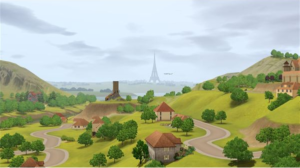 In “The Sims 3: Generations” expansion pack, there were no new skills added. 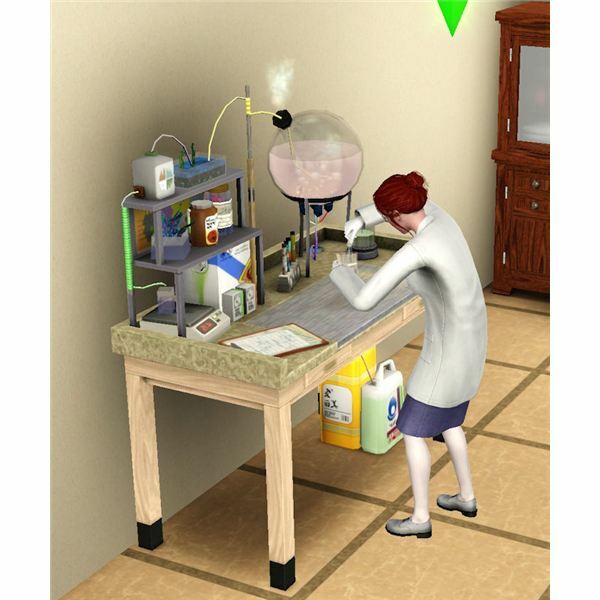 However, The Sims 3 chemistry set was added which helps Sims learn the logic skill and also gives Sims a new hobby to do with creating potions. 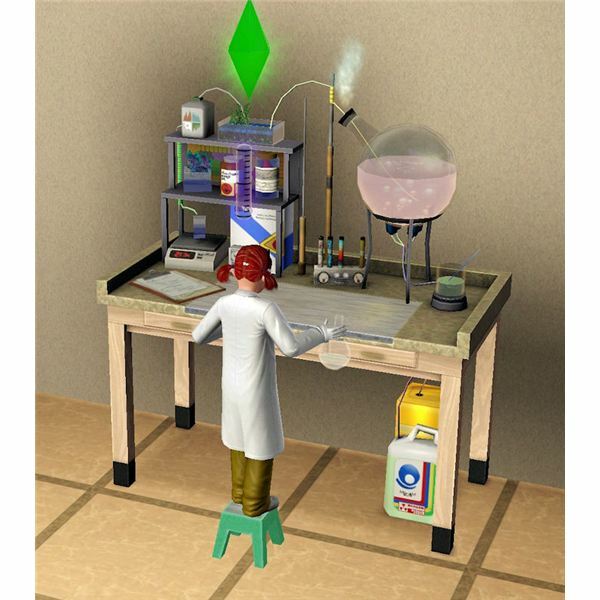 There are no potions classes, so just buy a new chemistry set table and place it on your Sim’s lot to get started. 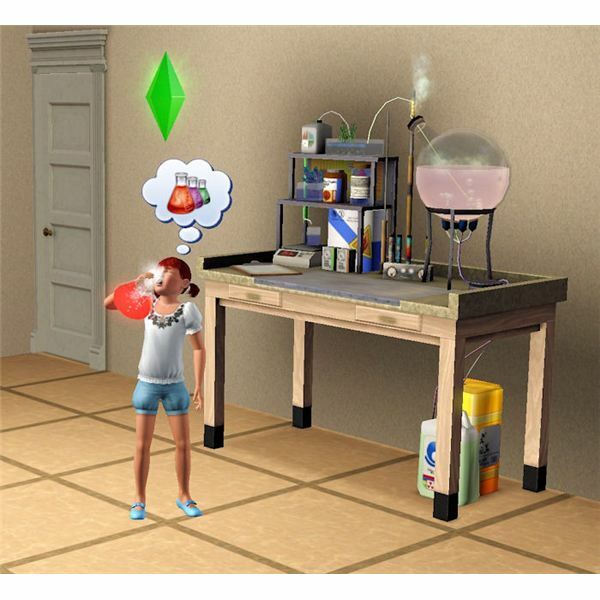 Sims with all types of traits enjoy making potions in “The Sims 3.” Sims that are child aged and older are able to discover and make potions. Some of the potions are even great for Sims to use to prank other Sims in the game. Kids especially love to pull off pranks, so this may be the only type of potions that they really want to make for awhile. As they grow up, they will still remember how to make the potions they discovered as children, so if they have time when kids to learn this new talent, go for it! Sims won’t catch on fire, but they will get “Singed” sometimes. It is handy to have a bath nearby for them to get into so they can get cleaned off and start over. Learning the logic skill (at least a few levels) should be done before really getting started trying to discover a potion. Sims that don’t have the logic skill capped out will earn logic skill points when discovering a potion and when making a potion they already learned. There are ten types of potions that a Sim can create. Mastering chemistry requires the Sim to have learned how to make all ten of these potions. Once they have discovered them all, they receive a 25% discount when making all of the potions in the future. This leads to a large discount on the pricier ones. At least the first potion they create of each is free! This potion makes the Sim have to pee right away. They don’t have time to make it to the bathroom and will pee right there! This is great for serving to a Sim you don’t like and gives them something to be really embarrassed about! Want to scare Sims at the local graveyard, at the pool, library, or anywhere? 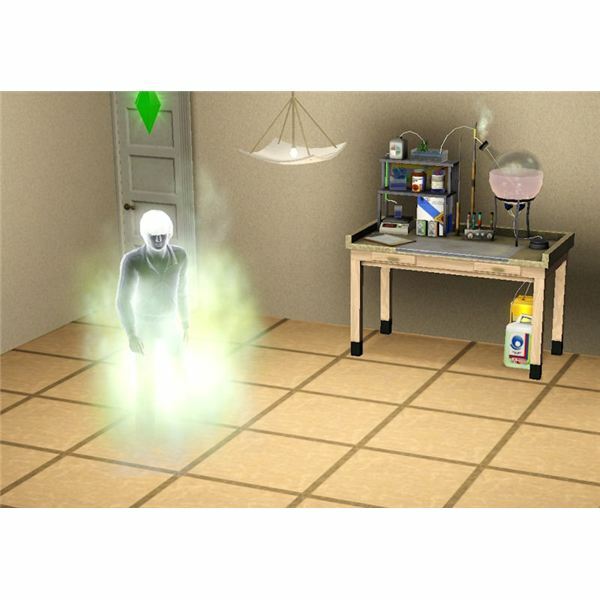 Use this potion and turn into The Sims 3 ghost for a few hours! Don’t worry about drinking this potion, you will be able to return to your regular human life state in a few hours or by changing clothes. This potion turns a child’s imaginary friend into a real friend. It turns into a normal looking Sim and is added to your Sim’s household. This potion is horrifying for Sims that drink it and gives them the “Horrified” negative moodlet for 8 hours. This is a great potion to give to your Sim’s enemy! This gives the Sim that ingests it the “Brightened Day” moodlet. For the low price, it is a good option to use to make your Sims happier. This is a helpful potion that teleports a Sim back home when they are away somewhere. Just throw it on the ground and you vanish back to your house. Saves time on commute and is a cool effect. This potion helps the Sim repair items faster and easier for one hour. Drink it right before repairing or upgrading something. This potion really helps with all of those upgrading wishes for lifetime happiness points. Sims that don’t have the extra time in the day to sleep will love this potion. It gives a Sim the ability to get a full night’s of sleep in with just a quarter amount of the time in the bed. This potion destroys the hygiene of the Sim that drinks it and gives them the “Smelly” moodlet. Also a great potion to give someone as a prank or to an enemy. This is a very popular potion to make with The Sims 3 chemistry set! It works even better than The Sims 3 ambrosia by letting all Sims aged Young Adult and over to reset their age back to Young Adult day 1!